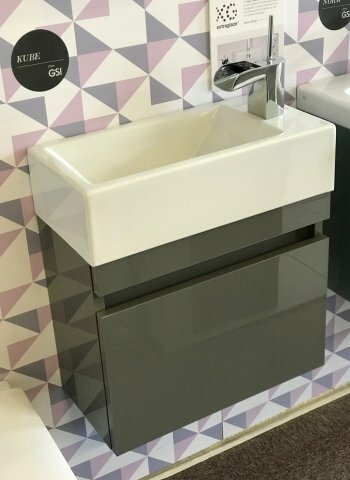 On display in our showroom we have the GSI Sand 60 ceramic basin with Matt Peat unit. 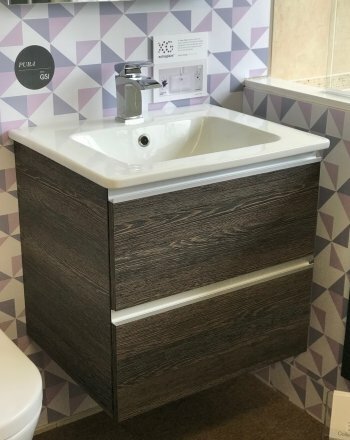 Shown here in the 2 drawer option. 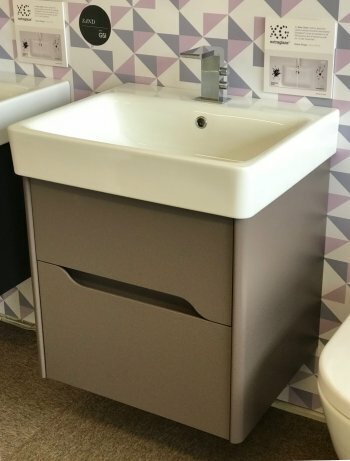 Available in different sizes, colour finishes and 1 drawer options. 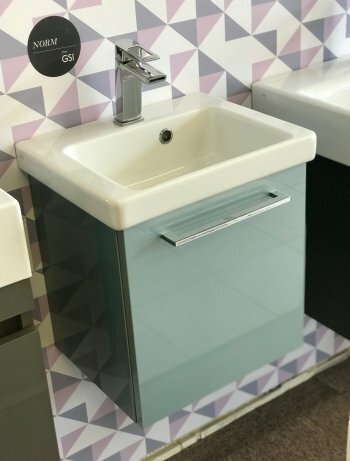 On display in our showroom we have the Norm 42 cloakroom basin shown with the 1 cupboard, gloss metallic blue unit. 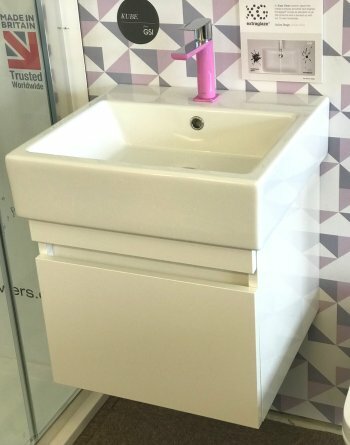 Available in different sizes and finishes. 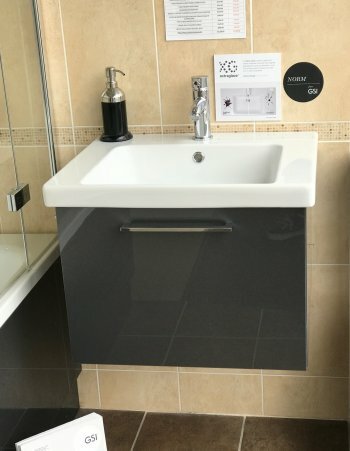 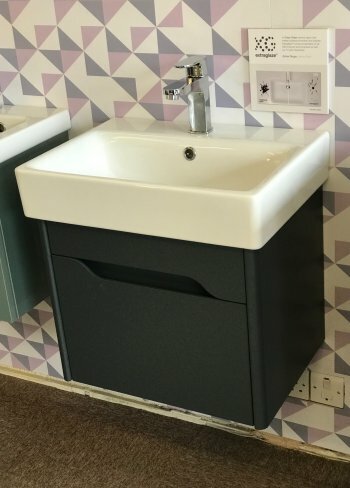 On display in our showroom we have the Norm 60 Basin seen here with the gloss grey unit.